Tired of feeling like the path to health and wellness is a long, drawn out path? Then start small! Use these quick five- minute fixes to boost your health and to reach your goals one step at a time! Wear a pedometer to determine the distance you walk each day. Shoot for 10,000 steps per day. If you aren’t reaching that goal, add an extra mile to your routine or take the steps instead of the escalator whenever possible. Add jumping to your exercise routine – also known as plyometric moves – to build muscle and improve your bone density. Try jump squats or scissor lunges in your next routine. Spend the extra money to purchase good work out necessities – clothing, shoes, bras, supports, etc. Purchasing the better brands versus going the cheaper route will ensure that you use them and that they are the best for your workout. Consider the other ways that you can lose weight without really trying – clean the house and burn 200 calories or work in the garden and burn 272 calories. Even if you travel or spend all day in a car or on a plane, still try to fit in physical activity. Take advantage of bathroom breaks by stretching and doing some light exercise. Walk briskly through the airport in between flights if traveling by plane. Build better bones and as much bone density as you can by doing weight-bearing activities like running or jumping as much as you can in your twenties and thirties. Yoga has many health benefits for your body and your mind. Even if you are a novice, take a class and try something different. Work out with your significant other or a friend or family member. This allows you to be a spotting partner for one another or just spend some quality time together working out. 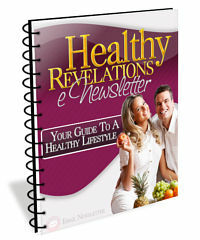 Tired of feeling like the path to health and wellness is a long, drawn out path? Then start small! Use these quick five minute fixes to boost your health and to reach your goals one step at a time! Edgeboston.com says to break up your workouts into 10 minute spurts. Daily recommendation is at least 30 minutes a day of moderately intense exercise, but it doesn’t have to all be done at once. Any sort of physical activity counts as exercise, and little bits of it throughout the day really add up. Don’t be a creature of habit. Switch up your routines, walking routes, gym machines and even what days you do specific workouts. Change is good when it comes to exercise and fitness. Even if you have to travel or spend all day in a car or on a plane, still try to fit in physical activity. Take advantage of bathroom breaks by stretching and doing some light exercise. Walk briskly through the airport in between flights if traveling by plane. Use downtime- Readersdigest.com suggests that anytime you’re cooling your heels during the day-waiting to meet a companion at the mall or staring at the download bar- look for opportunities to take a short walk, do toe raises or perform some other physical movement. Yoga has many healthy benefits for your body and your mind. Even if you are a novice, take a class and try something different.